Words can’t even describe how excited I was to interview actor Michael Bower. Alright, maybe two. Donkey Lips. 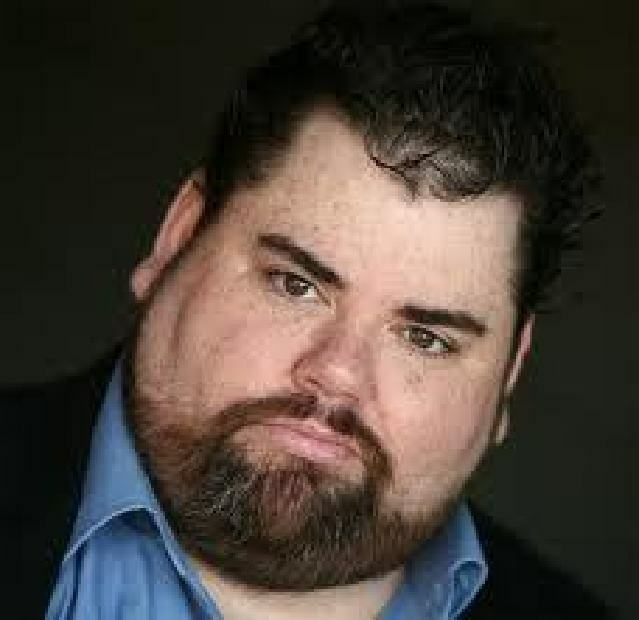 Michael Bower, now 36, is known as playing one of the most iconic character roles in the business–Donkey Lips from Nickelodeon’s Salute Your Shorts. He didn’t just stop at that 1991 critically acclaimed series though. He then went on to appear in over 30 primetime television shows that have included guest spots on The Wonder Years, Monk, Popular, Dark Angel and the comedy film Dude Where’s My Car. Michael continues to act and is keeping busy with several production companies. Some specific moments I got to chat about with Michael included his infamous Roy stop by at a certain Central Perk set, his super pumped up Super Bowl commercial and his days at Camp Anawanna. Before we get to what you’re doing now, I have to ask about the Super Bowl commercial you did in 2008. It was absolutely amazing. How did that come about? MICHAEL BOWER: Yeah, the Pepsi AMP commercial. It’s a pretty funny story…my agent gave me a call and said, “This kind of sounds interesting” and I read it and it sounded funny. My audition was on a Saturday…I went in and it wasn’t a real commercial it was a treatment. Which means they come up with the idea, they film it and they hope it sells well. So I ended up booking the part and we ended up filming it with five different energy drinks. We did a shot where I drink each different energy drink, and then they made the finished product and sent it to all the advertisement agencies. To the energy drink companies. Pepsi was the first ones to get it and they bought it. Next thing you know it’s a Super Bowl commercial and I’m the dancing bear. It was fun. Were you around family and friends watching it? How was that? I had some friends over and told them I had a pretty funny commercial that was going to air. They showed up and we were watching the game–and the funny thing was–it was a pretty good game! It was already the fourth quarter and there were only two minutes left in the game and the Giants were trying to tie the game up for the winning score and I was like, ‘There is no way my commercial has not aired. It’s not going to air. It’s going to air after or something like that.’ Then the next thing you know the Giants are about to score and they go to commercial and I’m the first one. It was the best timing and everyone was watching it. It was great. Absolutely love it. Well what are some projects you’re working on now? I saw something about Fireflies. Fireflies is a passion project with a few friends. Due to the acting world being really tough and there being so many talented actors–the truth of the matter is–is one actor really going to make it?…So you got to create your own work. So a few of my friends made a production company and I wanted to be a part of it. But they had different views on life and projects so they made their own production company and I made me own. They invited me to do a movie called Fireflies. It’s a passion project about traveling and love lost–basically a journey movie. So I kind of helped out and did a cameo. Sure, I’ve got a couple. It sounds weird but I created Elite Acting Studios from my house. I have a three-car garage that I turned into a studio and I kind of wanted to teach acting. Teach what I know about not giving up. About living daily with no money and being called a has been or being a child star trying to make it in the adult world. I just felt like in terms of acting I can teach what I know from teachers that taught me. But I can also teach life styles and dealing with the bullsh*t. A lot of people come from out of town with dreams of grandeur thinking they are going to make it and realize this is a chew you up, spit you out town and they give up…So I kind of help them with the acting and help them learn how to live out of the .99 cent store. [Laughs] Whatever it is, to keep going in this industry because you might not make it today, but there is going to be that one-day where that opportunity will meet your talent and you’ll be fine. I love how passionate you are about that. What about Generation 12? I made a production company called Generation 12. I’m hoping to eventually direct my own things. We’ve got one movie I helped with and now it’s on DVD. I’m not there yet. I take a long time to do things. If I’m going to spend five or ten thousand dollars of my own money, I better make sure I do it right. I don’t jump the gun, even though the company is formed and I have my LLC’s and I have my licenses. I haven’t really done anything that big yet. I don’t want to make a mistake. With all of these companies and teaching others, what roles specifically are you drawn to? You’ve done a lot of comedy. …I get small productions…It has to be a very passionate person or like a college graduate or a short film or something like that for me to do it. And I’ve done a couple. I’ve read a couple scripts, for small things and they kind of took my eye. And one good thing about these small productions with people who are trying to do it for real in college or film school–I get to play characters that I never did because they think I’m famous and they think I’m going to help them. But at the same time I get to play the lead character and not the joke. I get to play a serial killer or a father or the leading man. And that really doesn’t happen in real acting in terms of agents and casting directors. I mean, not at this moment. I have to say, you’ve done so many great roles on television. Roy on the Friends prom episode has been the most memorable for me. It was just fantastic–one of the best in the entire series. According to the fan votes, that’s the number one episode in Friends history. Meaning it was the most favored, the most laughed at. I mean of course the [series] ending is up there too. It’s one of those little memories that I got to have. The finale episode I got to watch live. It was really cool. They took a shining on me probably because I was on Nickelodeon or something. They were really cool. To be on the number one show for that series is unbelievable. It’s a pretty great tribute. My life is beautiful. I’m very blessed. We’ve got to get to Salute Your Shorts and your Donkey Lips character. I’m assuming that’s what you get most recognized for. What do you think about its cult following? Being on the show was great. Looking back on it as an adult now, it’s one of the greatest memories of my life! Basically I had a family and I had an opportunity and an experience that millions of people will never have. I’m thrilled that I was part of the show and that it still resonates with people at an older age. Believe me, it makes me feel proud every single day. Sometimes there are fan boys who know every line from every episode, and it’s kind of like, ‘Okay, how about we talk about it for five minutes and that’s it.’ [Laughs] But yeah, no, it doesn’t bother me at all. I’m proud to this day. Just when it becomes obsessive for people it just–but I kind of can say the same thing about my Oakland Raiders so you know what, I get it. I get it. Was it almost like summer camp on set? No, no. I can’t speak to what everyone else’s experience was, but…I was 17 or 18 when the show started. I had a lot of family issues…My experience on the show was a paycheck. I became an adult at a very young age. The schedule we worked was Monday through Friday. I’m going to say 10 or 11-hour days 8 a.m. to 8 p.m. It was a job. It’s always nice to get paid for playing, but its still work. Do you still keep in touch with anyone from the show? …Everybody is in communication with everybody. It’s like a family. We don’t talk everyday. I love, respect and admire each and every one of them. Well I really hope it gets back on the air with the rest of the classics that are starting to air on TeenNick. It was so short lived. So with hoping that happens and all your work, are you single? Or just focused on the production companies? He’s a blonde good-looking surfer. Damn Erik! Football Ology- I’ve always wanted to be a coach. I’ve always wanted to play football, but I’ve never been athletic enough. My favorite team is the Oakland Raiders. Film Ology- I love everything about films. Making it, watching it, editing it. I know this is my life forever. Conspiracy Ology- I was born into so many different religions with parents and friends. I’m very political. I don’t know what the words are–I search for the truth.